Using named day delivery: Order this product within 6 hrs and 39 mins for guaranteed Tuesday delivery. 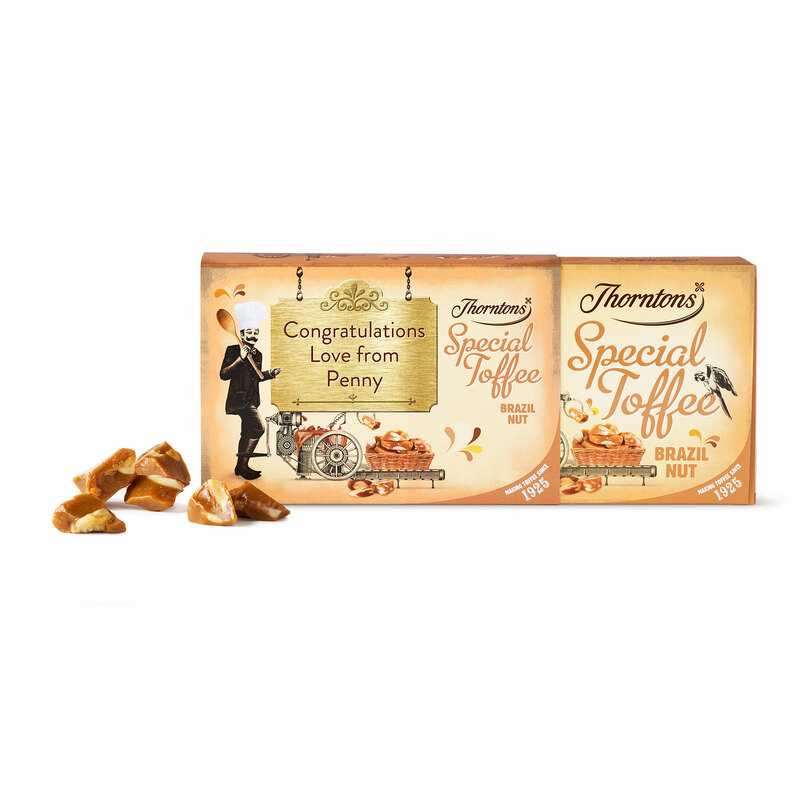 Adding some nutty texture to our original recipe Special Toffee was a stroke of genius. 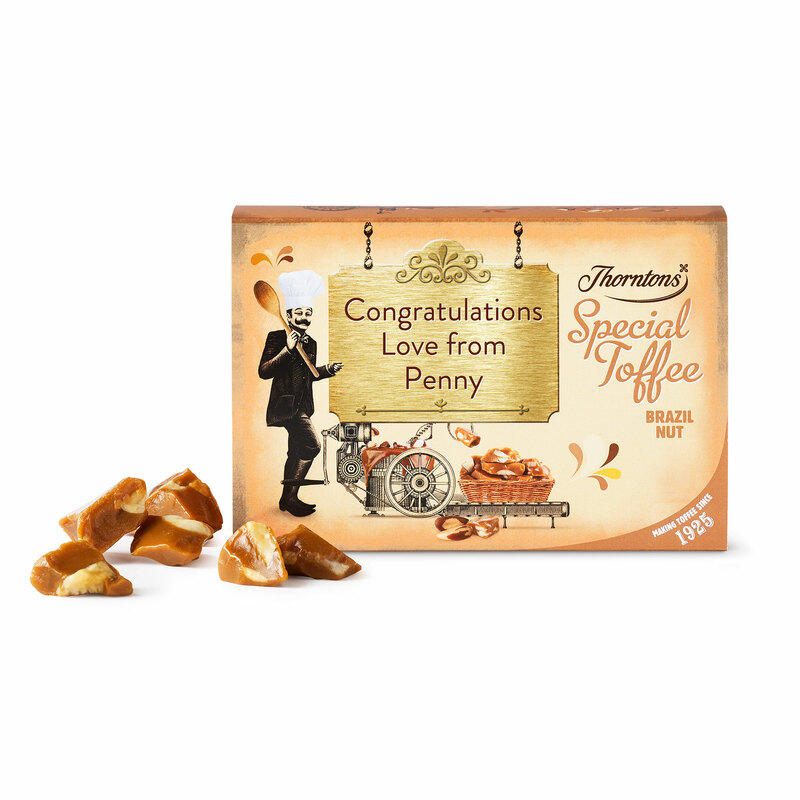 This box of buttery goodness is a perfect gift for him or for her, but is also an excellent treat just for snuggling up on the sofa with friends or family. Sugar, Glucose Syrup, Sweetened Condensed MILK (Whole MILK, Sugar), Palm Oil, Butter (MILK), BRAZIL NUTS (6%), Margarine (Palm Oil, Rapeseed Oil, Water, Flavouring, Vitamin A, Vitamin D), Invert Sugar Syrup, Salt, Flavouring.